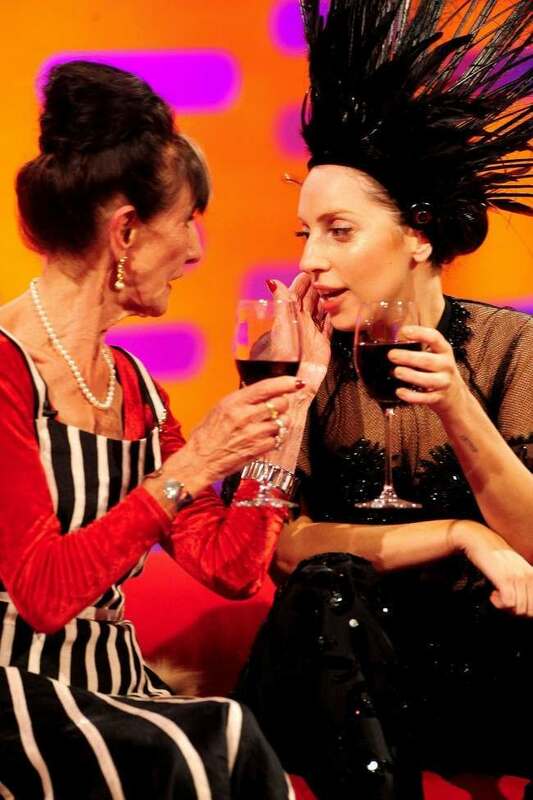 LADY Gaga and Dot Cotton have shared Graham Norton’s sofa. Gaga might have thought Dot Cotton a new internet address format, a social working site for actors. But Dot is June Brown, 85, a fragrant actress whose ability to smoke on the telly marks her out as likeable. Other than on EastEnders, where June has played Bible-wetting, launderette wallah Dot since 1985, we last saw her without her omnipresent smouldering prop on the BBC Two show Respect Your Elders. She was wearing a new pendant on which had been inscribed the order “Do Not Resuscicate”. (She had spelt “Resuscitate” wrong.) Before that June was on the Who Do You Think You Are? genealogy show, also on the BBC, retracing her Jewish routes to Spain and the Inquisition. Now she’s on the BBC with the the popstar Gaga. June came close to starring with a singer on EastEnders: Morrissey was offered the part of her son. He said of that: “I would arrive unexpectedly in Albert Square and cause births, deaths and factory fires every time I opened my mouth.” Dot’s son, Nick, was the racist killer who tried to murder his mum. Morrissey would have been the good son. So. Dot and Gaga, the singer who spends $100,000 a year on taking her own sheets with her, wherever she goes — “even to fancy hotels like the Chateau Marmont in Los Angeles” (source: heat). And there it is it. 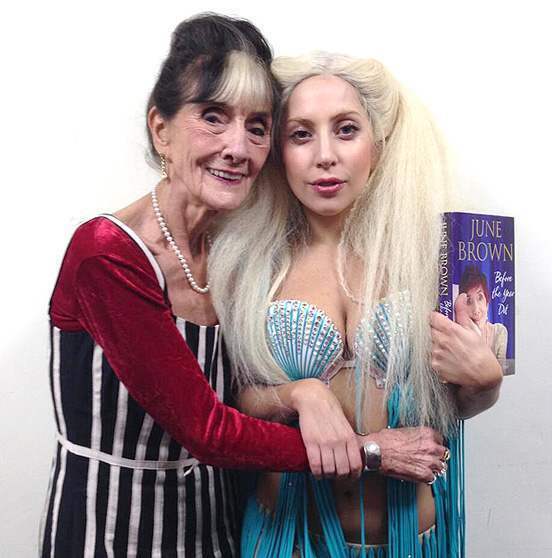 The celebrity road trip to end them all: Lady Gaga and Dot Cotton criss-crossing the globe. The Queen of the Pop and the launderette mistress. Call us, BBC. We have ideas.